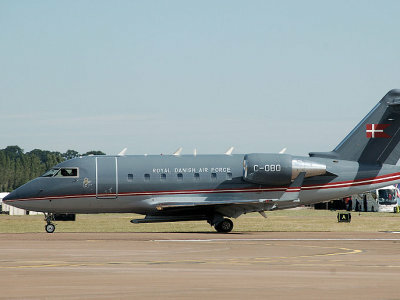 The Royal Danish Air Force (RDAF) has deployed a Challenger 604 maritime surveillance aircraft to support the French-led Combined Maritime Force (CMF), which was set up to fight piracy in the Indian Ocean waters off the coast of Somalia and the broader Horn of Africa region. In a statement released in the capital Copenhagen, Danish Foreign Affairs minister Anders Samuelsen said the RDAF naval detachment would operate in the Horn Africa region for one month, starting from mid-May to mid-June 2017. Under French leadership, the RDAF detachment will support the European Union-led ‘Operation Frontex’ anti-piracy Task Force 150 through surveillance and intelligence gathering operations which are aimed at building up the operational and situational awareness capabilities of the force. The Bahrain-based CMF force has been operating since 2007 with the objective of securing international sea-lanes off the coast of Somalia from pirates who were making millions from hijacking ships, cargoes and crews and demanding huge cash ransom payments to secure their release. “With the deployment of our Challenger airplane to Frontex and Combined Maritime Forces, Denmark again contributes vital surveillance capabilities. It is our priority to counter the giant challenges caused, now and in future, by illegal immigration. I am convinced that our contribution will be appreciated by our international partners. “I also look forward to Denmark contributing, in close cooperation with France, to the CMF around the Horn of Africa and thereby improving maritime security, such as limiting the sources of funding for terrorism and organised crime,” Samuelsen said. The Danish military has contributed to previous CMF operations, including supplying the commander for CMF Task Force 150. Piracy off the coast of Somalia peaked in 2011 and then declined to near zero activity at the end of 2016 following the deployment of the international anti-piracy navy forces and improvements in ship security and early warning systems. In the last few months, pirates have exploited the security vacuum left by the withdrawal of foreign forces. In April, two ships were seized by pirates off the coast of Somalia, while a third was rescued by Chinese and Indian navies. The next Danish deployment to the CMF is planned for August 2017.